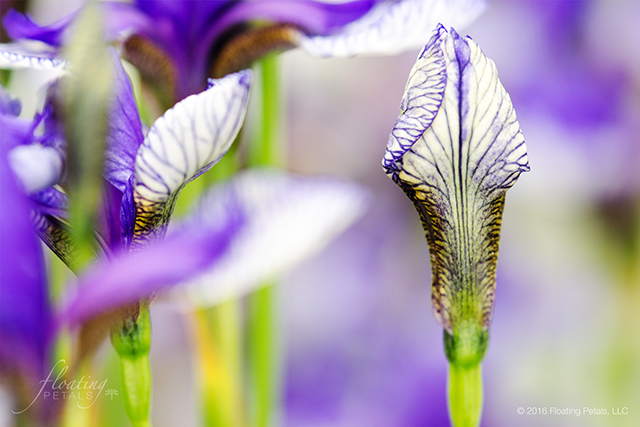 As Wednesday’s Flower or to the Cutting Room Floor, and yet it’s a favorite image of mine. 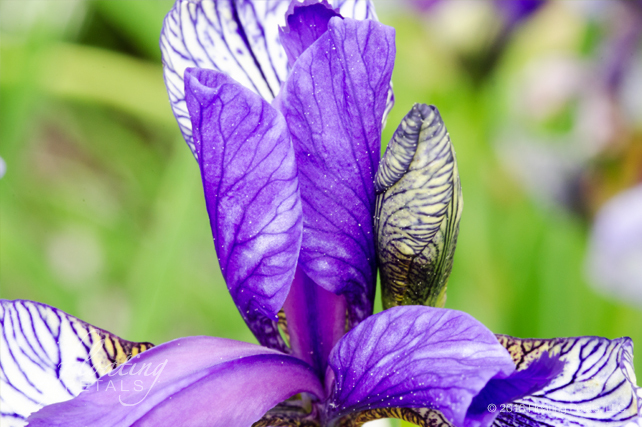 I’m not sure how I missed it, but after watching these flowers bloom in my garden again this year, I wanted to share it with you. 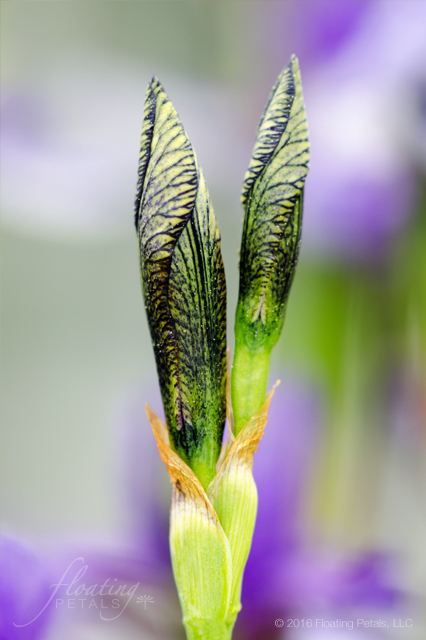 I don’t know if it’s the composition, the colors or just seeing this bud in all of its details ready to bloom, but I love seeing it take flight. 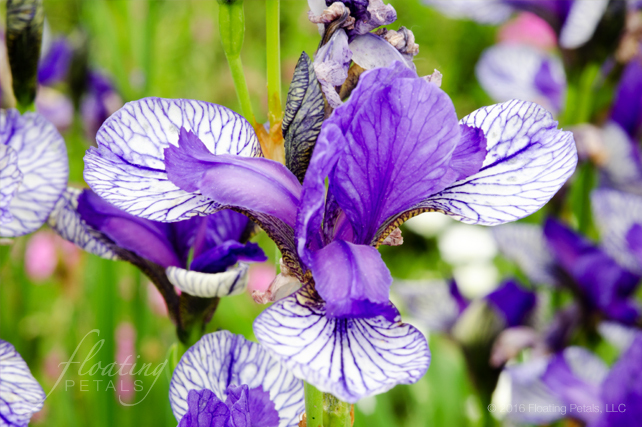 If you would like to read more about this flower, check out these two blog posts: The Wind Is My Mentor and Flight of Butterflies. 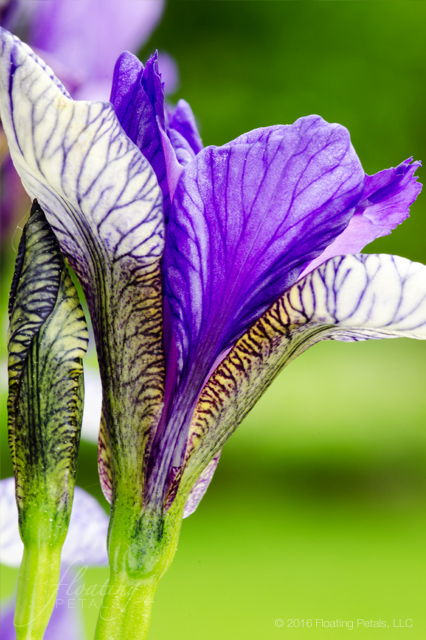 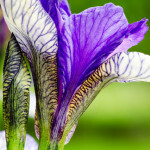 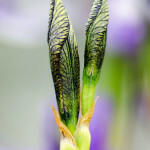 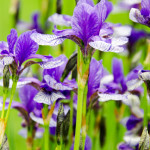 Siberian irises are rhizomatous and beardless. 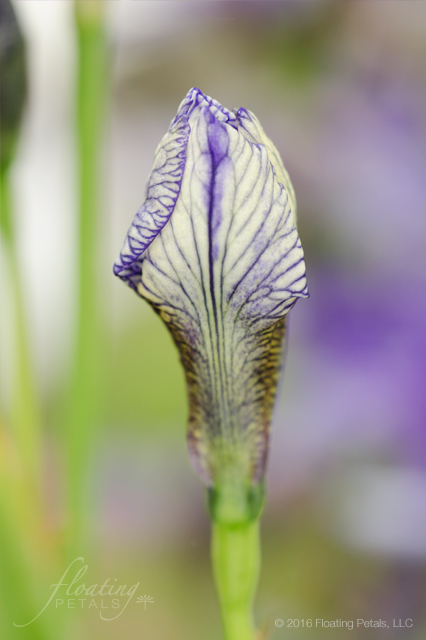 Long, narrow strap shaped leaves are bluish green. 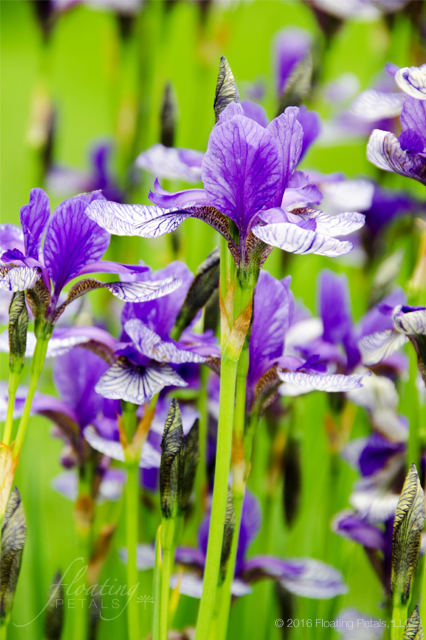 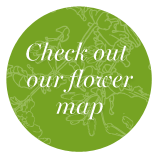 Above the foliage, smooth, branched stems bear up to 5 flowers in early summer. 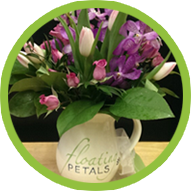 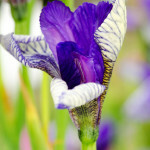 Petals are dark blue and falls are white with striking, dark blue venation. 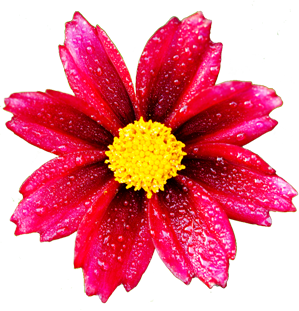 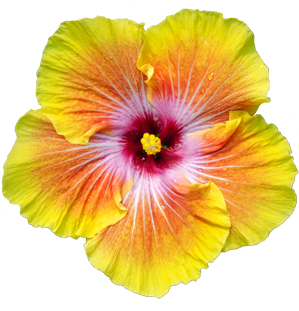 Prefers well-drained, neutral to slightly acidic soil in full or partial sun. 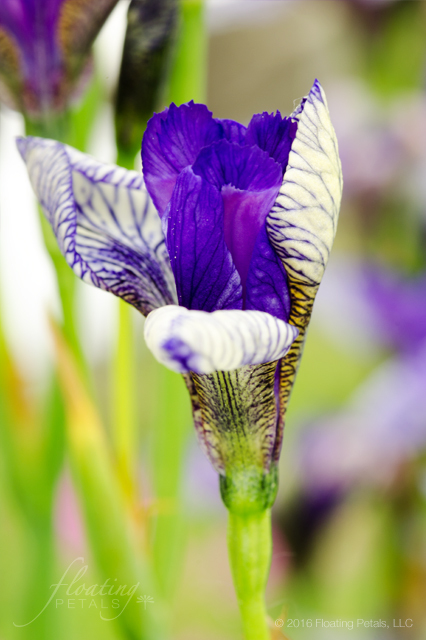 Siberians can tolerate periods of high moisture and are highly adaptable, great choices for borders. 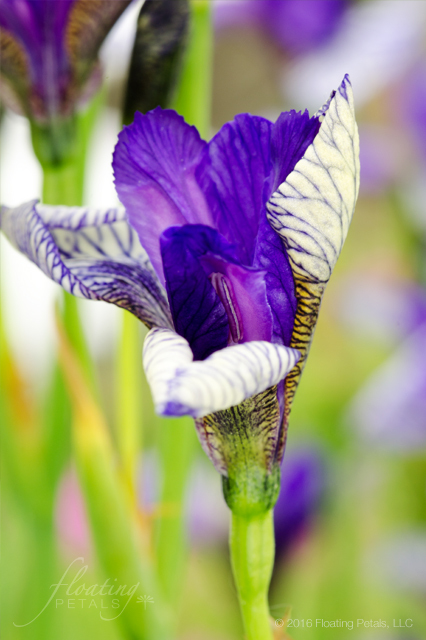 Divide when the center of the clump diminishes or every few years to maintain higher bloom count. 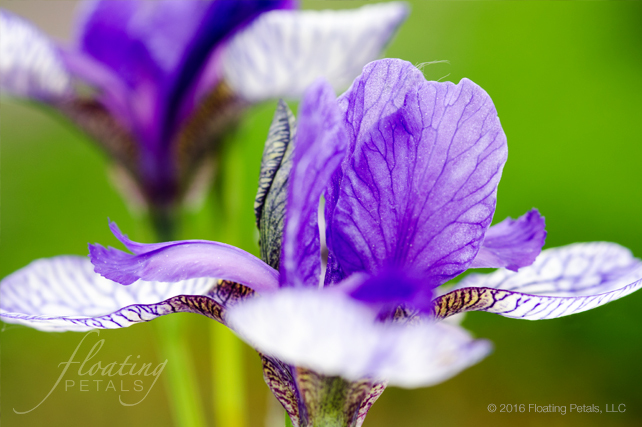 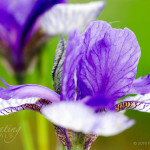 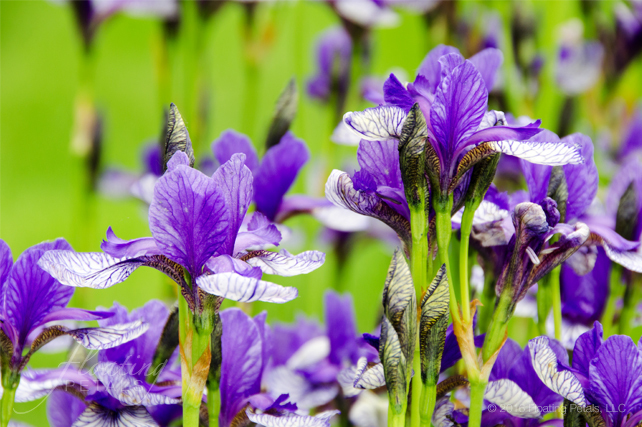 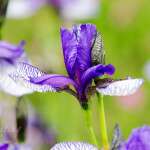 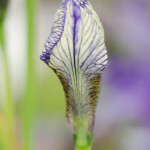 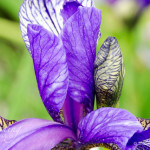 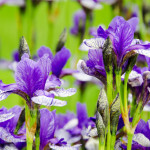 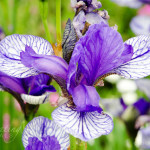 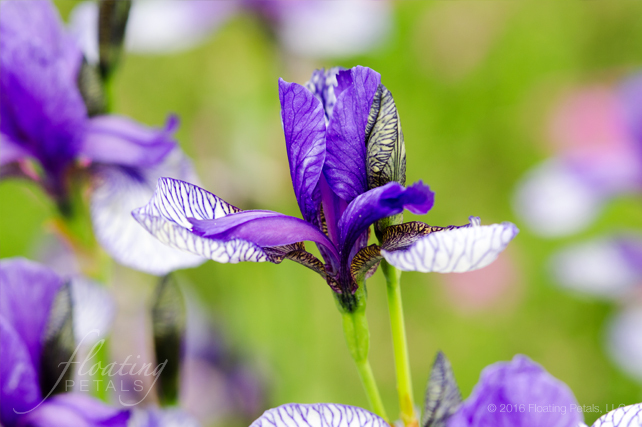 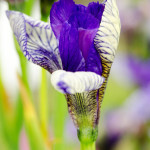 light of Butterflies Siberian Iris is unlike their bearded iris counterparts as they maintain bushy, green, grass-like foliage after blooming, providing a full season of interest.